Where Can Philosophy Take Me? What Does a Philosopher Look Like? 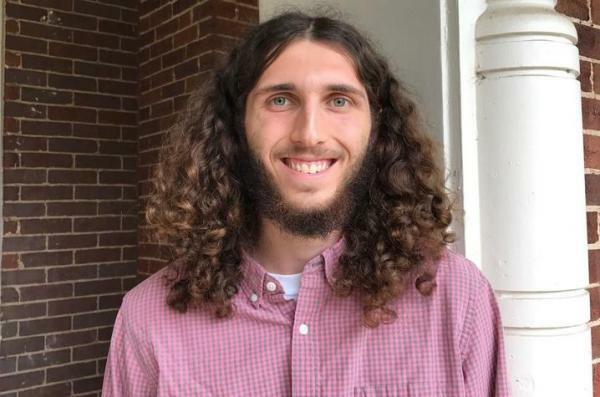 Beau Revlett, a UK College of Arts & Sciences philosophy junior from Georgetown, Kentucky, has been selected to deliver the 24th annual Edward T. Breathitt Undergraduate Lectureship in the Humanities beginning 7 p.m. Thursday, April 5, in the UK Athletics Auditorium at William T. Young Library. Revlett’s free public lecture will explore how multidisciplinary approaches to deciding what is good or rational may be beneficial to society. The Breathitt Lectureship was named for an outstanding UK alumnus who showed an exceptional interest in higher education and the humanities, Gov. Edward T. Breathitt. The lectureship is awarded to an undergraduate who has eloquently expressed the qualities of mind and spirit, including one or more of the basic concerns of the humanities. Each year all undergraduate students are invited to apply for the lectureship. 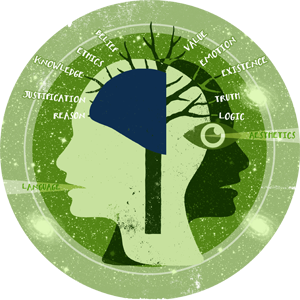 Revlett’s talk, titled “Rationality and Morality: What Rational Choice Theory and Ethics Can Tell Us About Each Other,” is an interdisciplinary lecture. The primary focus will be how society can make progress on questions about what is good or rational by looking to, for example, philosophy and economics — as well as other disciplines. Researchers Revlett will discuss include ancient philosopher Aristotle, nuclear strategist Thomas Schelling, the Federal Communications Commission, philosopher of science Brian Skyrms, cognitive scientist Daniel Kahneman and more. Through his talk, Revlett hopes to demonstrate how collaboration between disciplines — crosscutting the humanities, mathematics, social sciences and natural sciences — can help society better understand questions that are important to us. The Breathitt Lectureship is presented by the Gaines Center for the Humanities. The student speaker is chosen through an application process that includes a lecture proposal submitted by the student to an independent committee of readers. In recognition of his selection to deliver the Breathitt Lectureship, Revlett will receive a commemorative award and a $500 honorarium. A reception will follow the lecture. The son of Sam and Teresa Revlett, of Georgetown, Revlett is a 2015 graduate of Scott County High School. In addition to his philosophy studies at UK, he is a Gaines Fellow, a member of the Lewis Honors College and vice president of the Philosophy Club. A recipient of a Clinton Global Initiative grant, Revlett has been active in the Lexington community since his freshman year when he planted a garden for Arbor Youth Servicesemergency shelter. Impressed with his service and his work with their clients, Arbor Youth Services asked Revlett to serve on their board of directors. When he is not working on his studies or helping at Arbor Youth Services, Revlett also works with National Hunger and Homelessness Awareness Week at the UK Center for Community Outreach and SSTOP Hunger, which he says helped build his idea of what it is to be a responsible community member. Last spring, Revlett was named a recipient of a John Lewis Fellowship from Humanity In Action. As part of the fellowship, he joined a group focusing on issues of diversity within the United States, with emphases on Atlanta, the American South and the Civil Rights Movement. Upon completion of his bachelor's degree at UK, Revlett plans to pursue a doctoral degree in philosophy. Founded in 1984 by a generous gift from John and Joan Gaines, the Gaines Center for the Humanities functions as a laboratory for imaginative and innovative education on UK’s campus. The Gaines Center is designed to enrich the study of the humanities as an intellectual activity and as a means to self-betterment. The center offers courses and sponsors activities that appeal to faculty and students in all disciplinary fields.